In a bowl, mix together almond flour, baking soda, and sea salt. In a separate bowl mix together melted coconut oil, vanilla extract, room temperature maple syrup, and room temperature egg. Incorporate wet ingredients into dry ingredients, then add chocolate chips. After everything is mixed, preheat oven to 350F and refrigerate batter for 30 minutes. Once the 30 minutes are up and oven is heated, line a cookie sheet with parchment paper and roll dough into small-ish balls. Put them in the oven for about 5-7 minutes, then take them out and slightly flatten them with the back of a spatula. Put them back in the oven for about 5 more minutes, or until they look done. Take them out RIGHT when you see a hint of golden brown (they won’t look done, but they are). These cookies make a great snack or even a nice energy boost on a long bike ride. Yum! 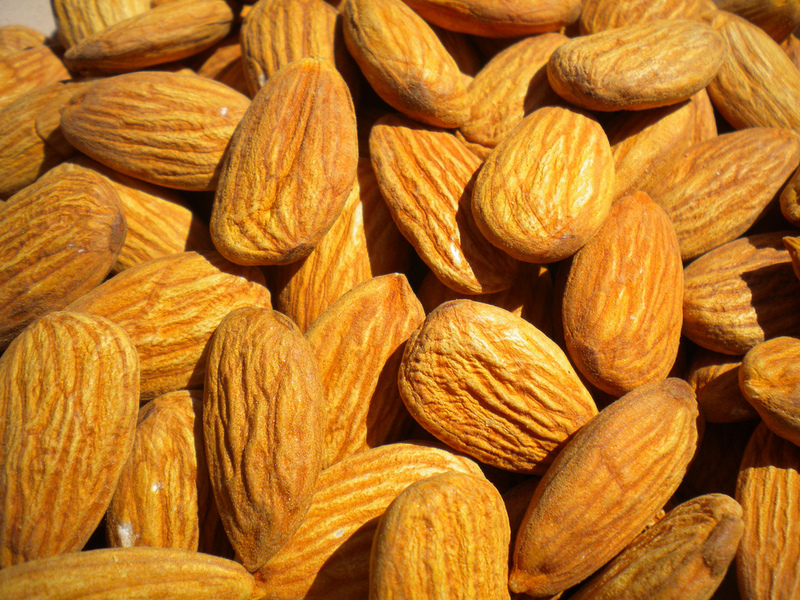 Have you ever cooked with almond flour? What did you make and how did it taste? Erin gave me this recipe too. However, I don’t remember seeing an egg in the recipe. I agree with Mommyproof that it can be difficult to substitute and swap ingredients in baking…the thing about these alternative flour recipes is that they are really popular for people who are following a paleo diet. Knowing this, I often times will add more honey or add agave or swap in maple syrup because I am not as concerned in limiting/monitoring the sweet factor and it never seems to hurt the end product. Thanks for sharing this Brynn! I lived in Germany for quite awhile and learned to make Lebkuchen, traditional Christmas cookies, using almond flour. I’m happy to see the egg free version of this recipe. It will save me from trying to make substitutions.